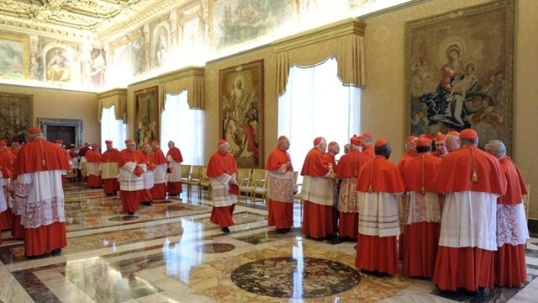 As usual the world has turned its head towards the upcoming Pope conclave this week. Although, the Catholic Church’s worshipers have declined in the last decades, we all seem to be curious who will be the next Pope. Some even go further initiating gambling schemes to gain a profit. There are, however, several names circulating in the media as potential popes, yet none of them seems “charismatic and suitable” enough for the role. The Catholic Church is in need of reform and whoever becomes the head of it will face a solemn challenge to address the sore issues hanging unsolved from his predecessors. As societies become more democratic and citizen’s mentality grows more open-minded and progressive, the Catholic values are no longer hype. The conservative approach to modern life and the lack of dialog and adequate measures on vicious acts by its clerics have banished many from the house of God. The role of the church in the Western world is gradually vanishing and in order to retain its followers and increase them, the call for urgent change is inevitable. A historical moment for the Palestinian people took place earlier today at the United Nations General Assembly. An overwhelming majority of states have voted in favor of upgrading the Palestinian status to that of a non-member observer. The new status is “an indirect recognition of the Palestinians’ claims on statehood in the West Bank, East Jerusalem and Gaza Strip”, reports Al Jazeera. This will allow the Palestinians to join UN agencies and have access to the International Criminal Court ( ICC). 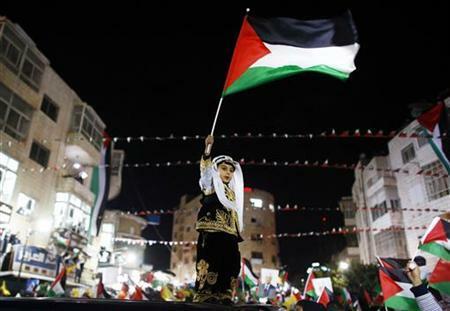 Thousands were celebrating on the streets of Ramallah after 138 countries voted in favor to Palestinian upgrade. 41 counties abstained and the minority who opposed the bid is formed between Israel, USA, Canada, the Czech Republic, Marshall Islands, Panama, Micronesia, Nauru and Palau. This rather symbolic upgrade for the Palestinians is a small step towards legitimacy of Palestine as a state. Although Israel and the US were vigorously trying to oppose the bid and the US frightening the Palestinian officials into cutting the financial aid, president Mahmood Abbas did not withdraw the pledge. What Israel and the US are most concerned about is the granted upgrade that will allow Palestinians to have an access to the ICC. Hypothetically, this could lead to further Palestinian claims challenging Israel’s occupation of the West Bank and the settlements. If the ICC recognizes the occupation and the settlements as illegal then Israel might face serious charges. As a reminder I will note that not long ago Britain amended a law that allows issuing arrest warrants against Israeli politicians accused in war crimes. Such warrant was issued in 2009 to Israeli opposition leader Tzipi Livni. Shortly after the warrant was issued Britain announced that will no longer tolerate legal harassment of Israeli officials. This led to number of cancelled visits by Israeli officials to Britain. On today’s vote Britain remained abstained. As I currently reside in Canada, I was sadden to hear that Canada opposed the vote. With unclear reasons the Harper government did not favor into Palestinian recognition, despite the fact that the majority of Canadian opinions in the internet were supporting the Palestinian upgrade status. I wonder shouldn’t democracies represent the people? Today the world sent a clear message to Israel that we are all a bit tired of it’s backstage games and will no longer hold up against the unspoken oppression crimes. As well the Palestinians will bear responsibility for any terrorist attempts from Hamas. The crude reaction of Israel at today’s vote only indicates that the long-waited peaceful coexistence in the “Promised Land” is far from reach, but the hope grows stronger on the Palestinian side.